EXECUTIVE SUMMARY: While he was on the campaign trail, Donald Trump promised to recognize Jerusalem as the Israeli capital and start plans to move the US embassy from Tel Aviv to Jerusalem. On December 6, 2017, he made good on that promise. Like media elsewhere around the world, Chinese newspapers – which express the positions of the central government in Beijing – had much to say on the matter. The Chinese responses cast light on two areas: Israeli-Chinese relations and Chinese foreign policy towards the greater Middle East. 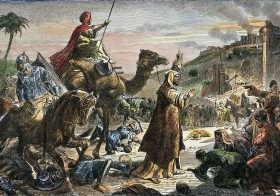 Trump is not the first world leader of late to have taken up the status of Jerusalem. In his speech to the Arab League on January 22, 2016, Chinese President Xi Jinping said, “China supports the peace process in the Middle East and the establishment of a Palestinian state with East Jerusalem as its capital.” Xi reiterated this position during the visit of Palestinian Authority President Mahmoud Abbas to Beijing in July 2017. Why did Trump’s statement draw more attention than either of those two prior statements? There are several reasons. Trump’s statement, while recognizing the situation on the ground and leaving East Jerusalem’s future reliant on Israeli-Palestinian agreement, is innovative in that it refers to Jerusalem as the capital of Israel and not as a common capital. Also, the two previous statements were more declarations than action plans. Trump’s statement, by contrast, took the first step towards physically moving the US embassy from Tel Aviv to Jerusalem. Most countries and international organizations opposed the move, while some remained indifferent. The Chinese media, which generally expresses the position of the central government in Beijing, devoted many articles to the subject. The Chinese responses are interesting in two ways. 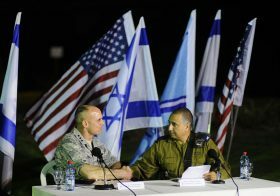 First, they provide some insight into the extent to which the American declaration will affect Israeli-Chinese relations. Second, they shed light on the possibility of movement in Chinese foreign policy towards the Middle East. Chinese reporting on the declaration came in two forms: quotes from foreign entities and comments by Chinese officials. The Chinese media turned to many Middle Easterners on the day of and the days immediately following Trump’s announcement. Those sources almost uniformly concurred that the declaration would severely damage the peace process between Israel and the Palestinians, with some even warning of potential harm to the stability of the global arena (as did Iraqi Minister of Foreign Affairs Ibrahim Jafari). 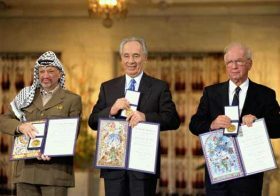 They called for a boycott on the US and Israel and an escalation of the Arab struggle against Israel, and even demanded that the EU recognize the Palestinian state as a response. 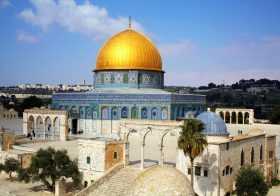 In addition to quotes from Arab officials, the Chinese media offered elaborations on the official status of Jerusalem. Those elaborations were largely consistent with the Palestinians’ preferred interpretation of reality. For example, emphasis was placed on Israel’s having taken Jerusalem by force twice: once in 1948 when the west side was taken, and then in 1967 when the city was unified. The Chinese media stated repeatedly that the designation of Jerusalem as the Israeli capital violates international law. In another statement, the Chinese Ministry of Foreign Affairs said Beijing supported the unified struggle, led by the UN, against terrorism, with the purpose of restoring order and stability to the region. The Global Times, known for its nationalist positions, took the same approach. In an editorial entitled “Trump kicks the hornet’s nest, again,” it criticized the declaration. “This latest Trump decision will turn to rubble years of diplomatic peace efforts between Palestine and Israel. This also means the mediator role the US government has been playing for years between Palestine-Israel relations has hit the ground hard.” It went on to state that “Trump’s action offers zero benefits for his so-called strategy to ‘go all out on economic development'”. The editorial further stated that Trump believes he and his administration can do whatever they want and the rest of the world will stand aside. After this, the paper wondered, what might be Trump’s next move? Will he use American power against North Korea? Will he use military force to create democratic reforms in places and countries that refuse to accept the American way? 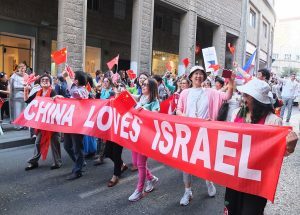 The South China Morning Post reported that following the Trump declaration, the Chinese intend to invite Israeli and Palestinian representatives to a joint meeting to discuss ways to reach a peace agreement. The article quoted Chinese Foreign Minister Wang Yi, who reiterated Chinese support for the establishment of a Palestinian state with East Jerusalem as its capital. 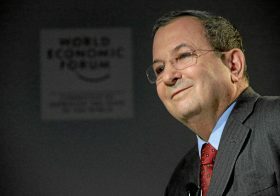 He added that China would “continue playing a constructive role towards the resolution of the Palestinian-Israeli issue.” The article pointed out that in 2013, when the Chinese hosted Netanyahu and Abbas in the same week, Beijing offered to hold a summit, a proposal that was not implemented. The central principles underpinning the Chinese response to the declaration were opposition to US hegemony, one-sided actions, and interference by one country in other countries’ affairs; as well as an aspiration to keep the global system stable. These are hardly a surprise, as they are in line with the tenor of Chinese foreign policy for the past several decades. Beijing’s primary goal – the preservation of stability to support economic development – brings it down firmly against the declaration. The Chinese consider it both needless and capable of prompting conflict in an area already plagued by disorder. The Chinese, who usually support the Palestinians in their ongoing dispute with Israel, are continuing to do so in response to Trump’s declaration. This is largely a practical matter: the Palestinians are backed by Arab states that are large exporters of crude oil and natural gas, and China needs those resources. Moreover, Israel and China have developed a close relationship over the past two-and-a-half decades that has come at no cost to Beijing’s relations with the Arab world, so it sees no reason to make any changes. The Chinese approach to foreign policy is to do business with anyone who is willing to engage with it, politics notwithstanding. Trump’s declaration is unlikely to change this. The Chinese position in the Middle East at large is expected to remain the same, and Trump’s statement should not lead to changes in Beijing’s policy towards the Israeli-Palestinian issue. For many years, China has had a special envoy to the region and has occasionally raised the Israeli-Palestinian issue in talks with official regional representatives. But the envoy never did anything beyond meet with the parties. The Chinese approach is to allow the opponents to attempt to resolve their own disputes, with Beijing getting involved only if both sides express interest in such mediation. 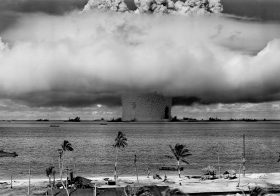 Recent statements by Chinese officials suggest that that approach will continue. Roie Yellinek is a doctoral student in the department of Middle East studies at Bar-Ilan University, a fellow at Kohelet Policy Forum, and a freelance journalist.